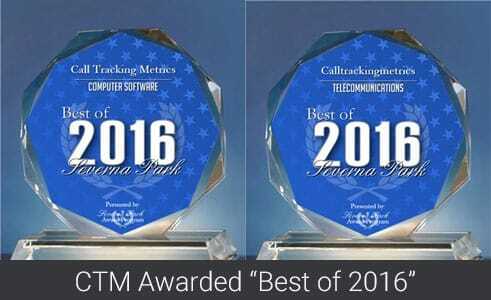 CallTrackingMetrics is the recent recipient of Severna Park’s ‘Best of 2016’ in the following two categories: Telecommunications and Computer Software. The Severna Park Award Program is an annual awards program honoring the achievements and accomplishments of local businesses throughout the Severna Park area. Recognition is given to those companies that have shown the ability to use their best practices and implemented programs to generate competitive advantages and long-term value. CTM is honored to be recognized as a top technology business in our community.